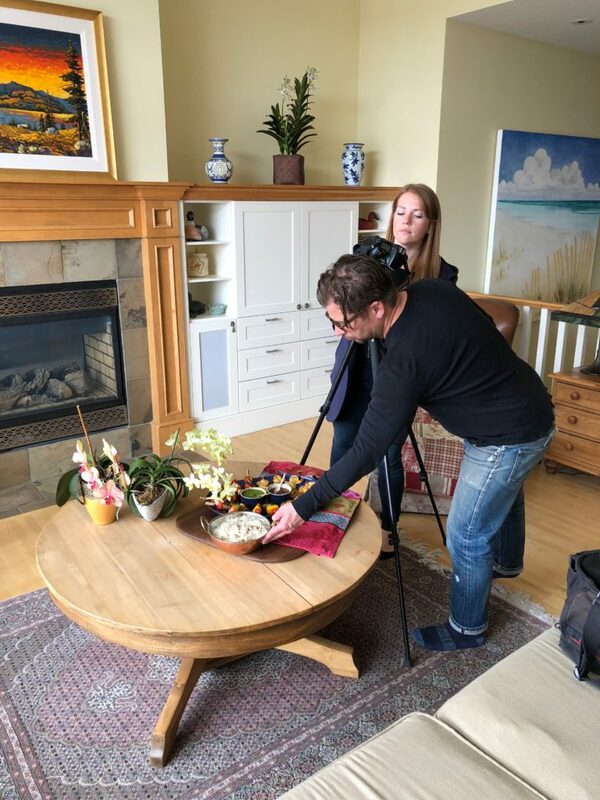 Here’s a little behind the scenes look at a photo shoot with Avenue Magazine’s Jared Sych and associate art director Sarah McMenemy for a piece that Karen was featured in called Entertaining Like a Pro. Or course, that would involve recipes from A Spicy Touch. 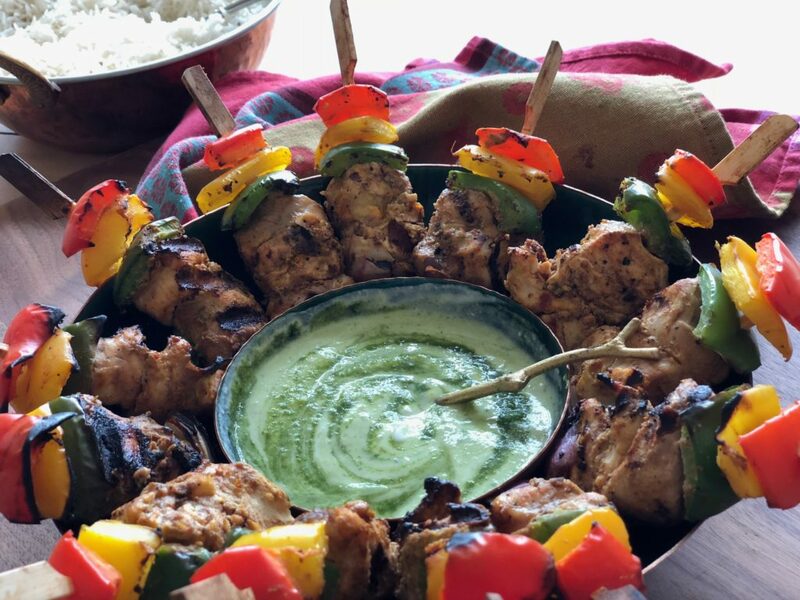 Karen took Noorbanu’s famous Butter Chicken recipe, marinated the meat overnight and then threaded it onto bamboo skewers to grill. Next she made homemade paneer (it’s so easy – just bring 2 litres of whole milk to a roving boil and then pour in 1 litre of buttermilk, stir until the curds and whey separate and then strain and place a heavy object on top until the cheese is firm), cubed it and rolled it in garam masala. The cheese was pierced alternately with red pepper pieces and grilled. 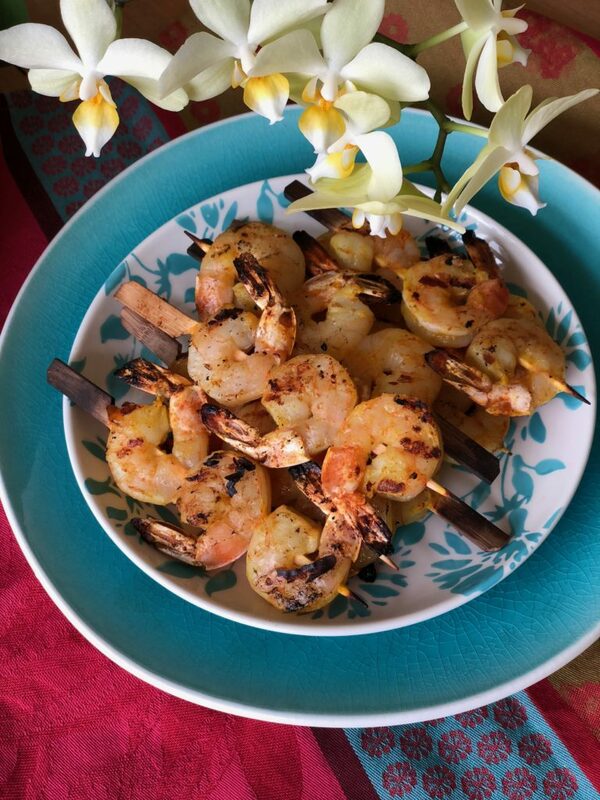 Tandoori prawns rounded out the offering. Who doesn’t love food on a stick? There are so many ideas for summer food in volume four. 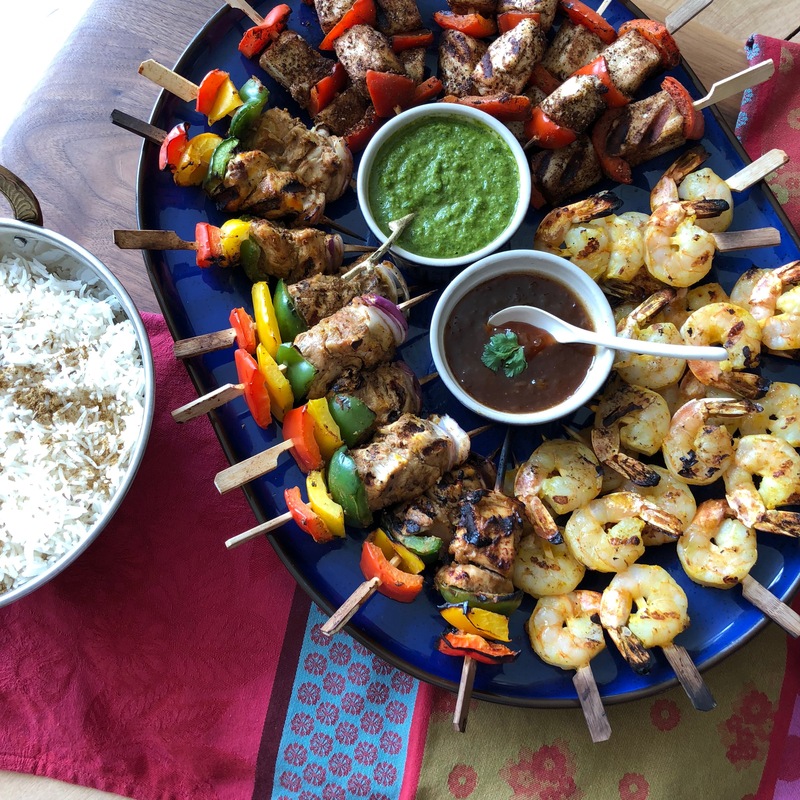 Hit the refresh button on your summer entertaining and treat your friends and family to these great recipes and more.